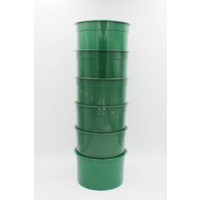 Here we have a unit that’s been in development for quite a while, the inspiration comes from old timer’s methods whereby they would trench a bank and push buckets of back towards the wall to clear the trench of overburden then pan off what was left. 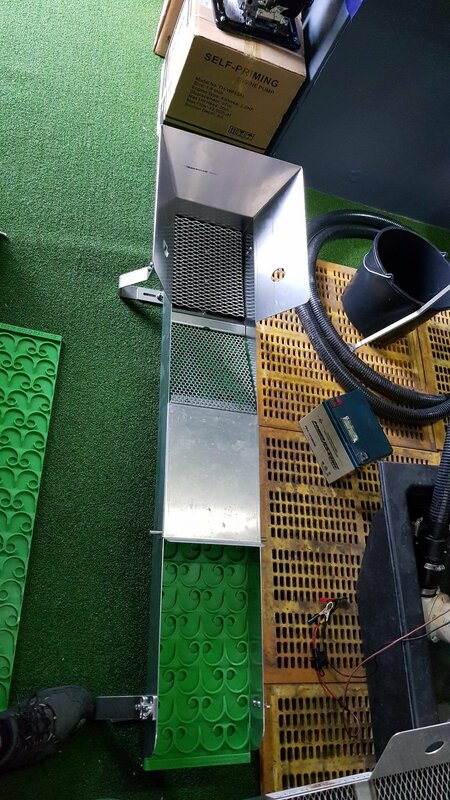 The idea of having the processing capacity of a highbanker without the additional cost and complexity of a floating hopper and moving parts was attractive and what we have ended up with is a forward classifying system which can be bucket fed or can be used with a spray bar and 3000GPH bilge pump or petrol pump. 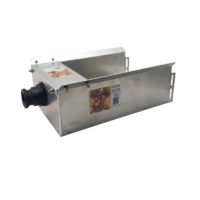 The unit is ideal for miners wanting to reduce concentrates from primary recovery equipment. 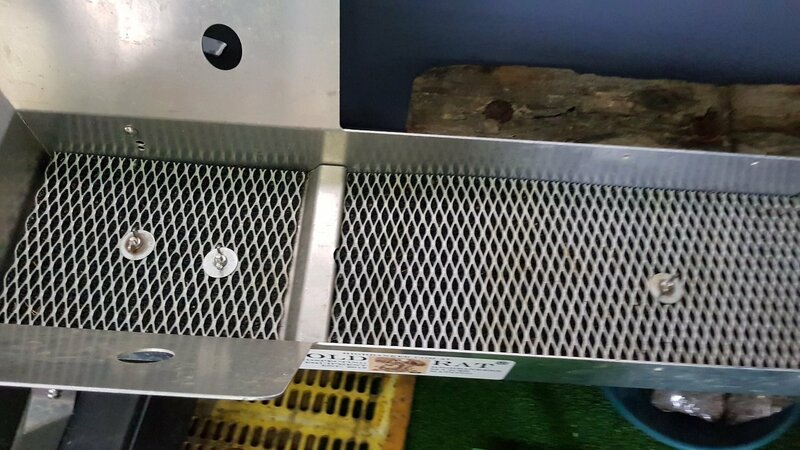 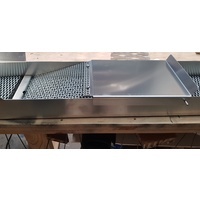 The system is made up of three main parts, the under pressure processing area up the top which is a small tile of backed miners moss with our rolled and polished expanded mesh, followed by a nugget clamp and another section of covered with mesh. 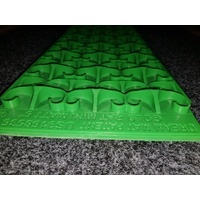 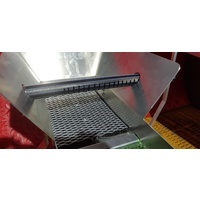 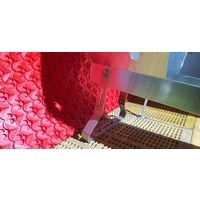 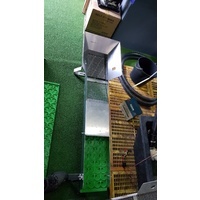 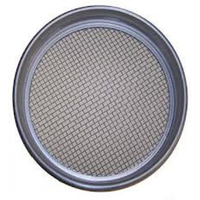 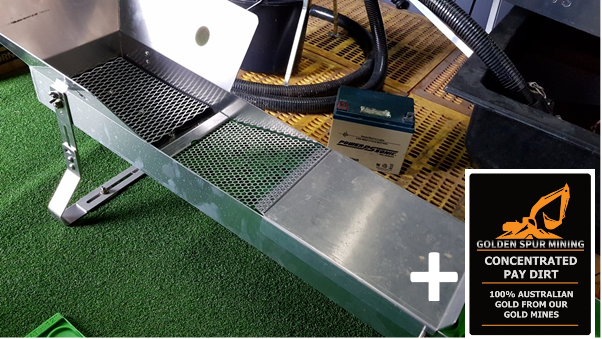 Of course this unit is designed and suited to fit the 8 inch dream mat so you can optionally add a dream mat o have this unit as standard with mesh and moss. 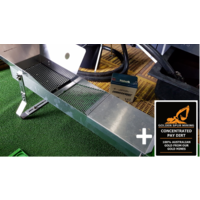 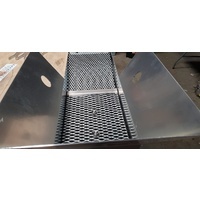 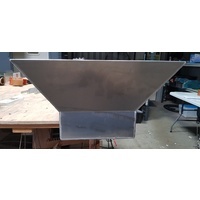 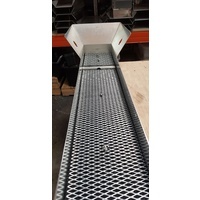 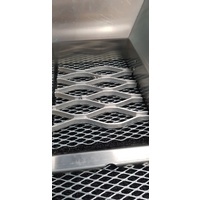 The third component is our forward classifying punch plate and screen rail which allows the user to scrape rocks downward and in the same direction as the sluice, the bump rail makes it easy to avoid oversized rocks falling back into the sluice. 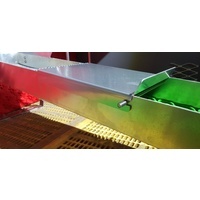 The processing area in this system makes it perfect for gemstone processing with its great cleaning and manual sorting design. 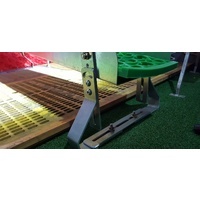 The legs are a universal height and pitch adjustable leg kit which we are very proud to have released last year. 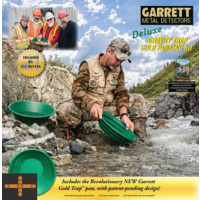 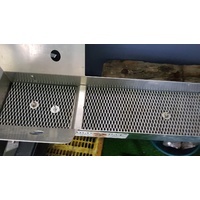 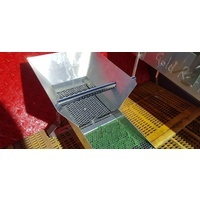 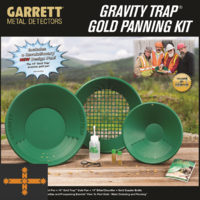 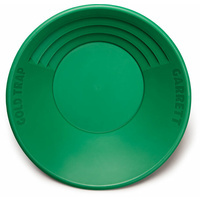 They will suit any sluice from 6 to 14 inches wide and can be used across GOLD RAT’s full product range.